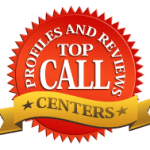 Hands down, CMS call center is the most reliable company in Columbus Ohio. This company fared well all across the board. Dedicated to customer service and operational excellence, CMS Call Center – Continental Message Solution is an award-winning call center and live answering service serving the communication needs of clients worldwide. Founded in 1967 and located in Columbus, OH, CMS Call Center was initially established to offer answering and secretarial services to the small businesses of Central Ohio. Since then, CMS has developed fully customizable products and supports many different industries worldwide. CMS Call Center is headquartered on Grant Avenue in the Discovery District of Downtown Columbus, OH. Within 4 blocks of 3 Colleges and Universities and a few miles from 3 more, including one of the nation’s largest and highly regarded public universities, The Ohio State University (4 miles).CMS actively employs some of the brightest young talent who have moved to Columbus for their education. Cons: They offer very limited outbound calling solutions. Not Sure About CMS Call Center as the best solution? See other top reviews on answering service companies below.